Converting between different audio formats is often necessary when transferring them to a different media software program or an MP3 player. 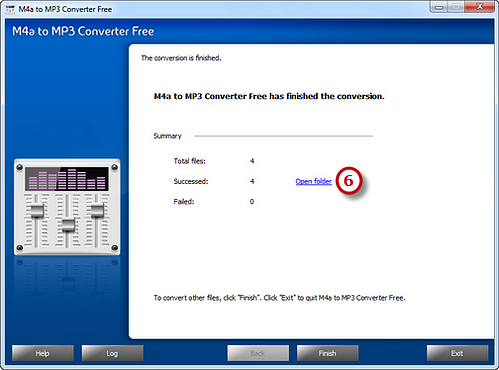 One typical conversion is from WMA to MP3. Some MP3 players do not support the WMA format, including the Apple iPhone and iPod. 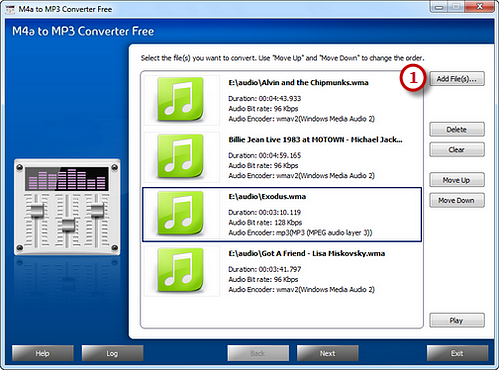 If you need to convert WMA to MP3 and have no advanced audio production software, one of the easiest methods is using M4a to MP3 Converter Freesoftware. 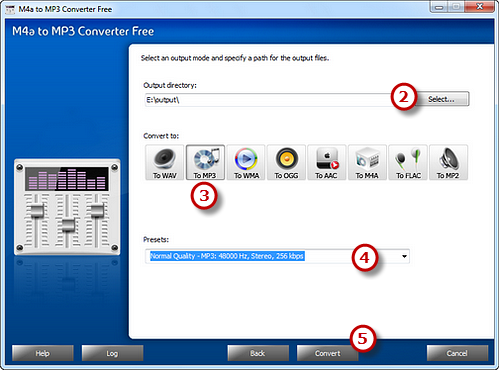 Launch M4a to MP3 Converter Free and click “Add File(s)…” to add WMA audio files to the conversion window. 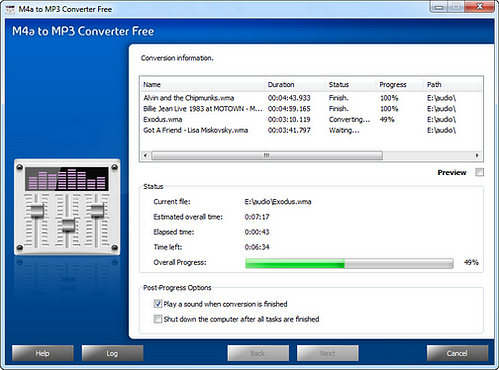 You are allowed to add a large quantity of audio files to be converted. With the conversion window, you can see the detailed information of the added files. If needed, use “Delete” or “Clear” button to remove the unwanted files and “Move Up/Move Down” button to change the order. There’s a “Play” button to play the selected file with the media player in your system.